To me it’s not just something you have in the morning, I will have cereal any time of the day, especially before I go to bed so I don’t have to wait too long to eat it again in the morning. However for some reason I always get weird looks when I’m in a bar slurping from a bowl. Don’t they know my cereal turns the milk chocolatey? As it turns out I’m not in the minority, many cereal bars, and by that I mean a café, not a tasty snack, have started opening around the UK, meaning me and my fellow snap crackle brothers can stop feeling the ce-real struggle of enjoying our meal in public. However, much like the hidden toy in the box, I’m still waiting to get my own café close to home, so instead us lot at the Dial have decided to combine the joys of a night out with joys of breakfast (or lunch) cereal. 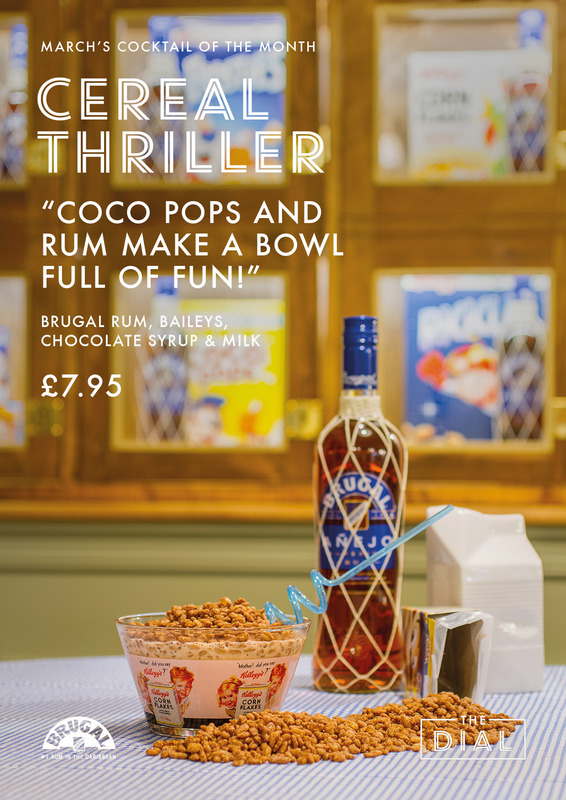 We’ve only gone and made a cereal thriller cocktail! This month you can hold your head high and enjoy a tasty treat because we’ve combined the great taste of chocolate rice cereal with Brugal rum, chocolate milk and Baileys, oh yes, it is as good as it sounds! 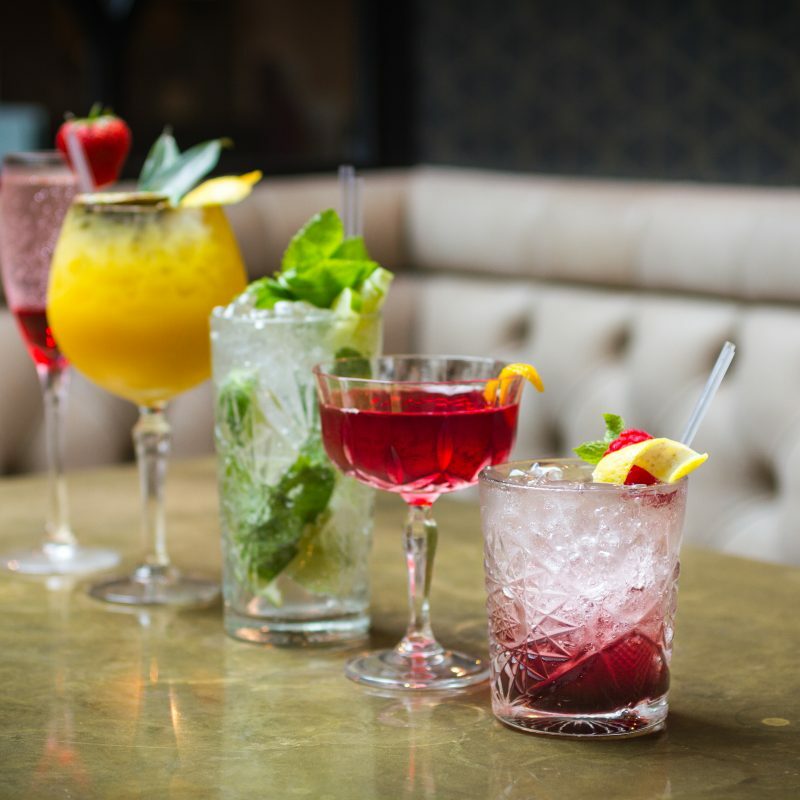 Now you can enjoy a great tasting cocktail and enjoy the king of meals all in one. We’ve used Brugal Anejo rum because it’s smooth and rich, it’s as smooth as the best spirits out there but has the character of Tony the Tiger. With it’s hints of vanilla, toffee and dark sugar, it can only add to the best part of eating cereal, making the milk even more chocolatey! Simply put, Brugal is GrreeEAAATT!!! So for a fun way to start the day, try coco pops, to get your night started properly head on down to The Dial.